In some places like Ohio, sales tax is not charged on hot prepared food sold to go, while a sit-down meal calls for tax. And states like California, cold foods ordered to go is also not taxed. ORO POS supports these two situations and a store owner can configure the POS in a way where every ticket will ask for the permission of for here or to go and will add tax based on that. 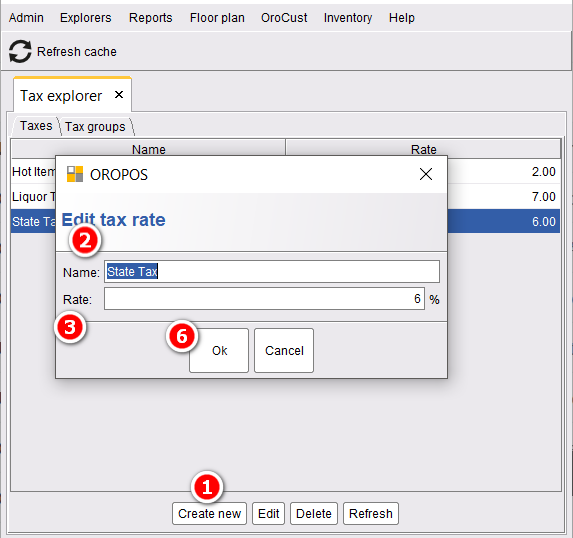 Go to back office–>admin–> tax–>taxes–>create new tax with the rate percentage. 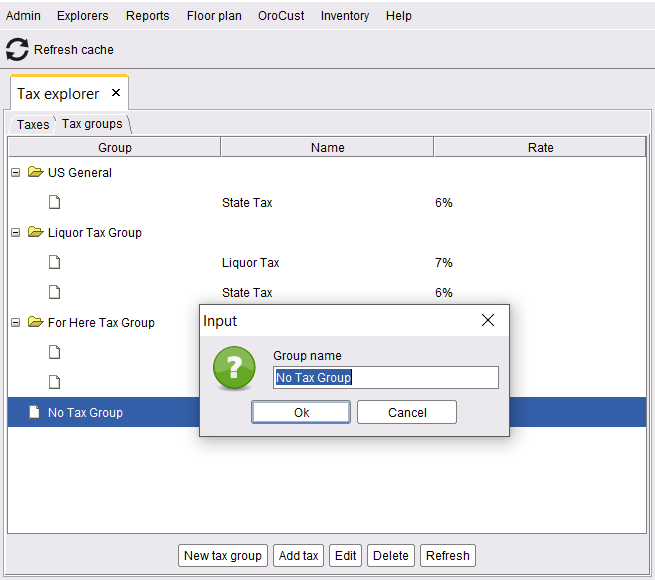 Now go to tax groups of the same page (different tab) and create new tax groups. 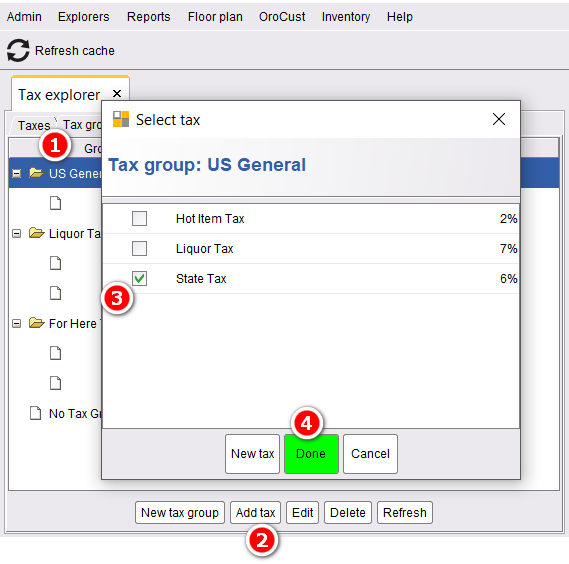 Then select the taxes for the tax groups. 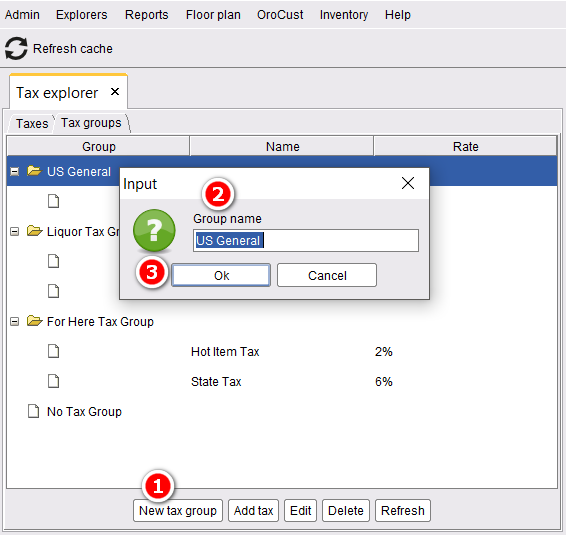 For no tax menu items or to go orders, add a new tax group named “No tax group” and add no taxes for this group. 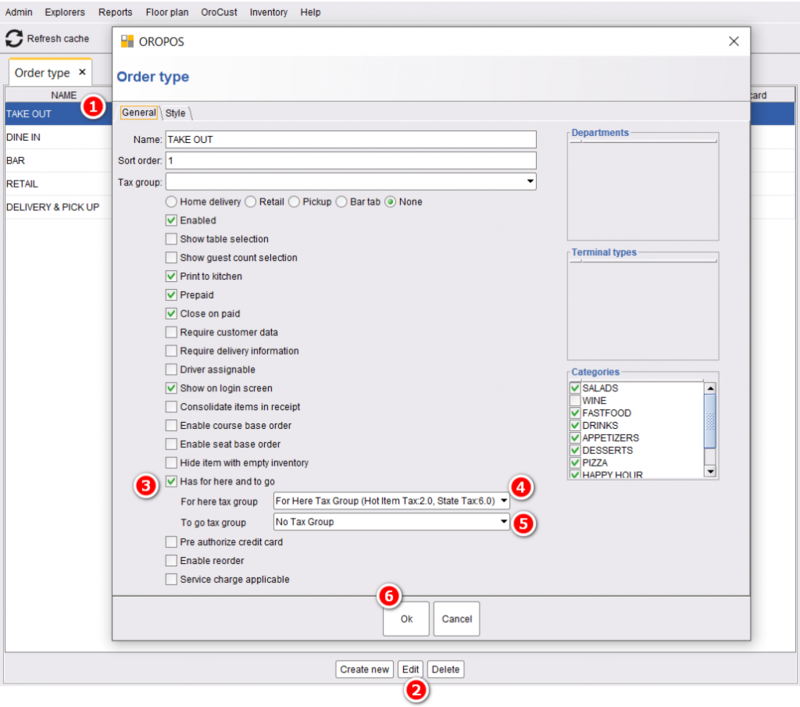 Next, go to back office–>admin–>order type–>select the order type where you want to have this feature–>edit–>select has for here and to go–>select for here tax group from the dropdown list–>select to go tax group from the drop-down list –>press ok to save and restart the POS. 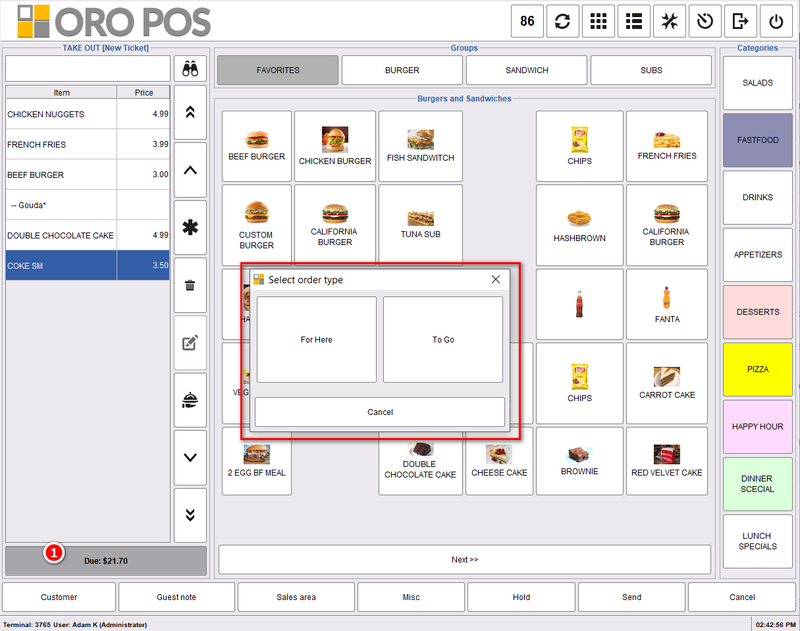 Now for every order, after choosing the menu items, when a server will go to take the due amount, the system will ask whether the item is for here or to go and based on that the items will be taxed.